If you’ve been using a Mac for any real length of time, you probably know Retrospect. 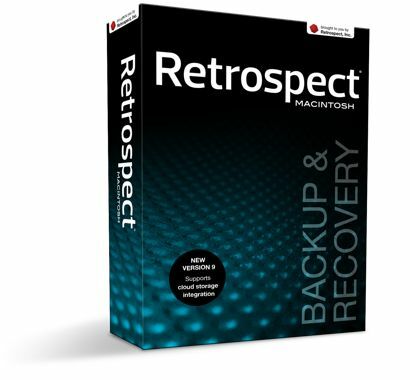 They’ve been releasing great backup tools to Mac users since the Metazoic age of MacOS 6, and despite coming under the thrall of various corporate overlords from time to time, Retrospect’s still hard at work making great software… and Retrospect 9 for Mac might be their best backup client yet. What’s new? Growl notifications and AES-256 encryption, for one, making Prospect 9 a corporate level backup solution. Task workflows and WebDAV support are now in the mix, as well as a network backup option supporting all flavors of machines, including Mac, Linux and Windows, and the whole software package has gotten a shot in the arm to run even faster and prettier than ever before. How much? $129 for five users, or $479 for a single-server, 20 seat license. Pay $1699 and use it on as many servers and as many users as you want. Or just download the free trial.